A 'first-look' is something that's been very popular in the United States for many years now, however, on this side of the pond it's still a relatively unheard of wedding idea. During a wedding, it's very hard to capture all the various angles at the same time, especially if you're working alone. If you're photographing inside a church, you're often very restricted as to what you can and can't do. Moving about the church is a big 'no' and besides - Even if you were able to move during the wedding service, there's still no chance one photographer could capture both the grooms and the bride's reactions when seeing each other for the first time. Enter the so called 'first look.' This is a set up photographic opportunity, before the wedding has happened. Depending on how traditional you are, this might seem like the worst idea ever (as many believe it's fatefully bad luck for the groom to see the bride before the wedding) but if you're after a really special photo, it might be something worth considering. 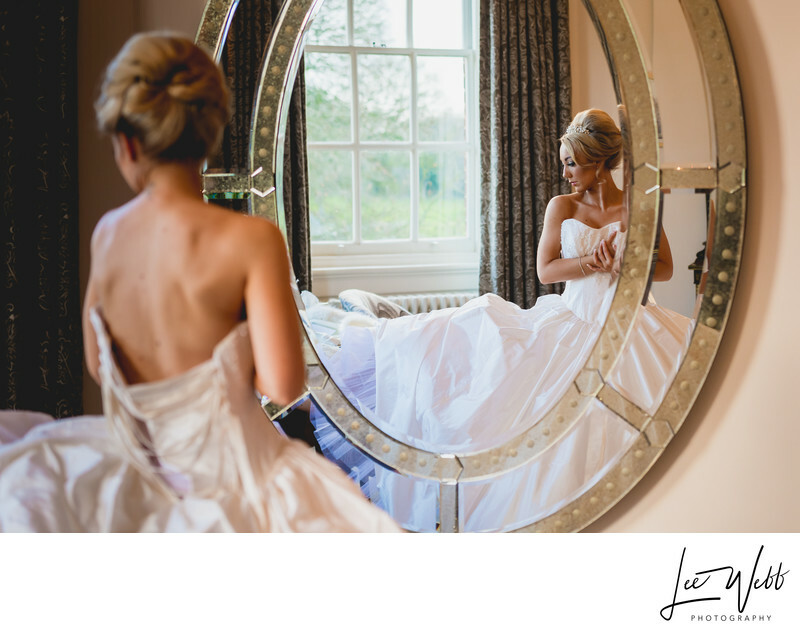 Le-Anne (pictured above) and Ben (main photo) got married at Icoyd Park, which is a stunning privately owned country home near Wrexham on the Welsh/English border. Le-Anne got ready on site, with Ben getting ready locally and then travelling to Iscoyd for the wedding. When they were both ready, my associate photographer and I set about getting both the bride and the groom in the ideal positions that we could capture both of their reactions. I chose to remain inside and photograph the groom's reaction to seeing his soon-to-be wife, with my associate going outside and shooting back towards Le-Anne with a long telephoto lens. The reaction on Ben's face was absolutely worth it, and it's easily one of my favourite images. 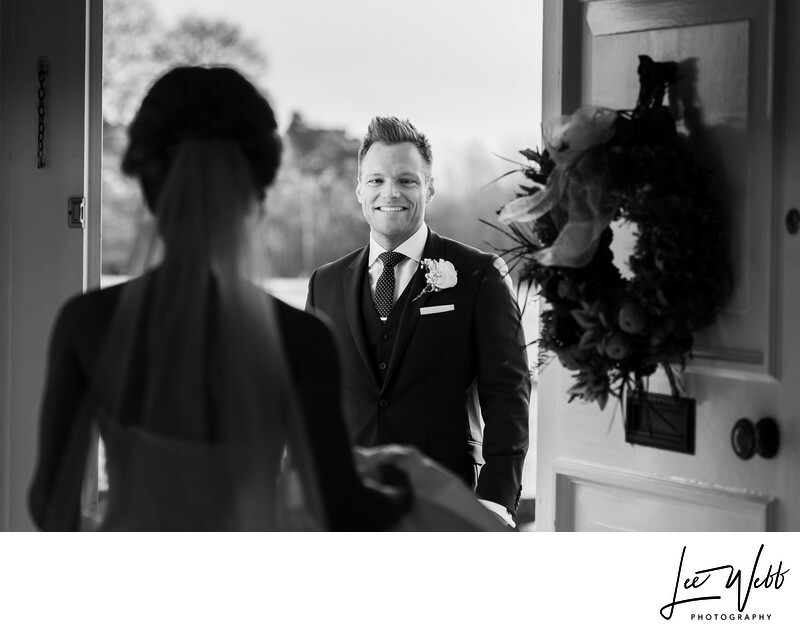 Whilst the occasion itself is manufactured (in that you wouldn't normally expect the bride and groom to meet each other in a doorway before their wedding) the reactions are purely natural so I still class this as reportage wedding photography. I still to this day feel like there is absolutely no better way of telling the story of someone's wedding day than being like a fly-on-the-wall.